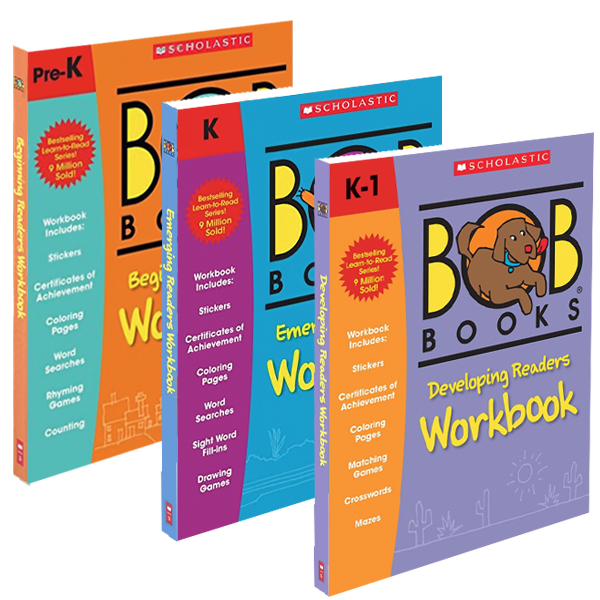 Don’t miss the companion workbooks to the best-selling learn-to-read boxed sets! 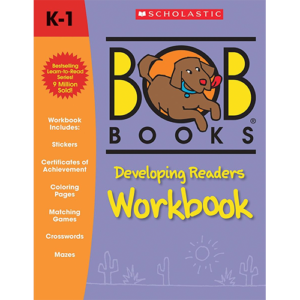 Millions of books have been sold in the Bob Books program thanks to its silly stories, familiar artwork, and easy to comprehend text. 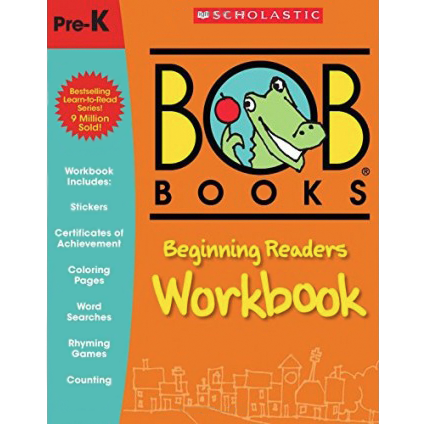 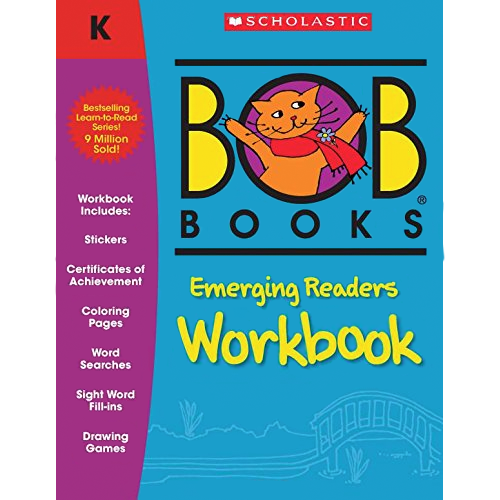 For the first time, children can now extend their reading journey into these jumbo workbooks, which feature custom content built around each Bob Books storybook. 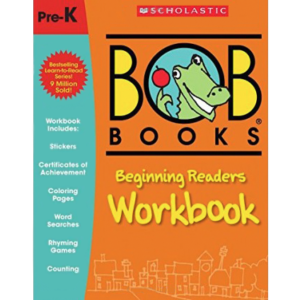 This jumbo workbook corresponds with three Bob Books sets: Advancing Beginners, Sight Words: Kindergarten, and Sight Words: First Grade. 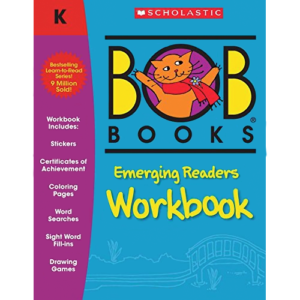 This jumbo workbook corresponds with three Bob Books sets: Word Families, Complex Words and Long Vowels. Companion workbooks for the best-selling learn-to-read boxed sets. 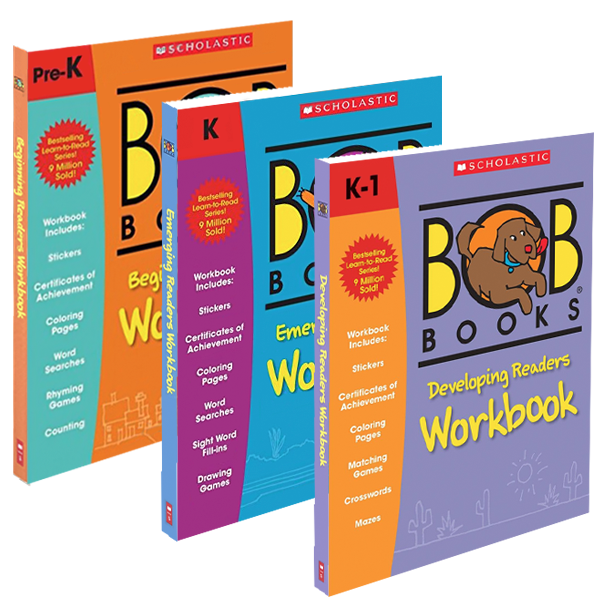 Each jumbo workbook contains custom content built around the Bob Books storybook sets.